In honor of April being "Community Banking Month", we wanted to shed light on the big difference between SSB Bank and those other "mega-banks" out there. A Community Bank, by definition, is an integral part of Main Street that reinvests local dollars bank into the community to help create local jobs. Community banks offer a relationship banking philosophy that you won’t find at the “bigger banks”. It is ingrained in the way they conduct business- one loan, one customer at a time. SSB Bank has been a local choice for banking since 1922. Our longstanding reputation has continued because of our dedication to upholding our core values: Commitment, Community and Culture. Even as we grow and develop, we will remain a community bank at our core, maintaining pride in a positive customer experience every step of the way. 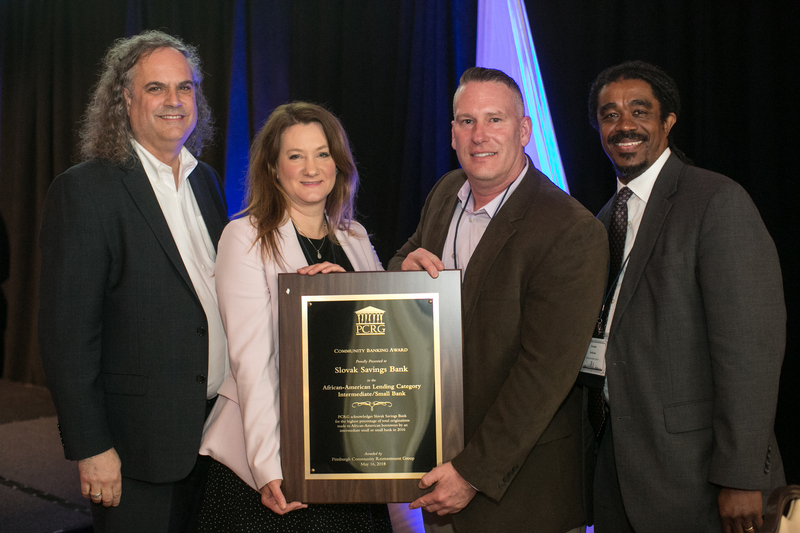 Local Focus SSB Bank was awarded with a Community Banking Award in 2018 in the African American Lending Category. Unlike larger banks that may take deposits in one state and lend in others, community banks channel their loans to the neighborhoods where their depositors live and work, which helps local businesses and communities thrive. At SSB Bank, we do our best to provide lending options to small businesses and individuals right in our backyard. For example, we have partnered with FHLB this year to be part of their First Front Door program, focusing on helping first-time homebuyers in the area who may need support that a larger bank can't (or wouldn't) provide. For more information on that program, check out our Consumer Lending page for details on the qualifications needed to take advantage of this opportunity. We'd love to help you open the door to your first home. Community banks are concerned about the customer as an individual, not just an account. They work hand in hand with customers to ensure they have access to the best innovations possible to meet their needs—such as the most secure, reliable and convenient payment options. I think our tagline says it all: "More Human Interest". We don't just say it, we show it in every aspect of the banking relationships we build with our customers. We are comprehensive, we listen to our customers' needs, and we respond with solutions that work for each individual situation. 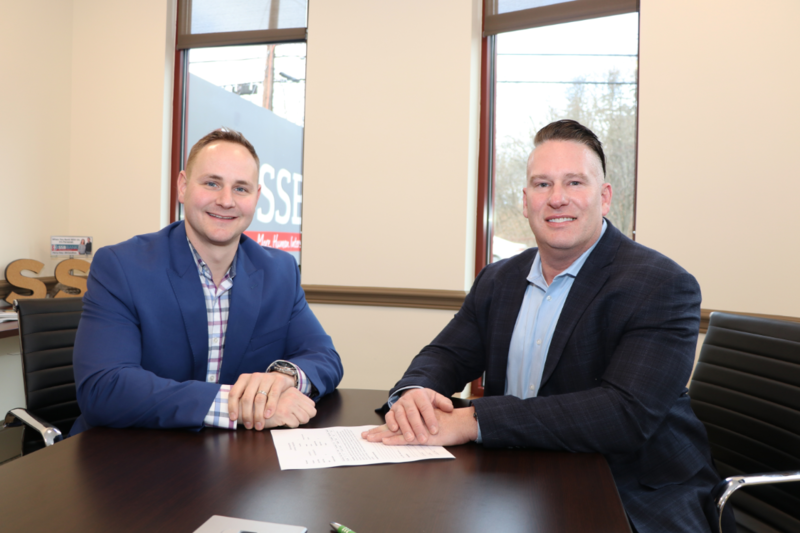 Lending Leadership to Small Businesses Bank thrives on helping other small businesses grow and develop in our community. Dan Turo and Turo Chiropractic are one example of that! According to the Federal Reserve’s Small Business Credit Survey: Report on Employer Firms, community banks are the small business lender of choice. 80 percent of independent businesses that used community banks report they were satisfied with their overall experience, compared with 78 percent for credit unions, 61 percent for large banks and just 46 percent for online lenders. Independent businesses that apply for loans with community banks are the most successful and the most satisfied. At SSB Bank, we thrive on helping other small businesses grow and develop within our community. We enjoy celebrating their successes and providing them with the resources they need to reach their goals. Community banks offer nimble decision-making because decisions are made locally. Mega-banks must often convene loan-approval committees located in another state, far away from their customers. At SSB Bank, we work diligently to ensure that the decision making process is fluid and barrier free! In most cases, you will be face-to-face with our team as they navigate the process with you. 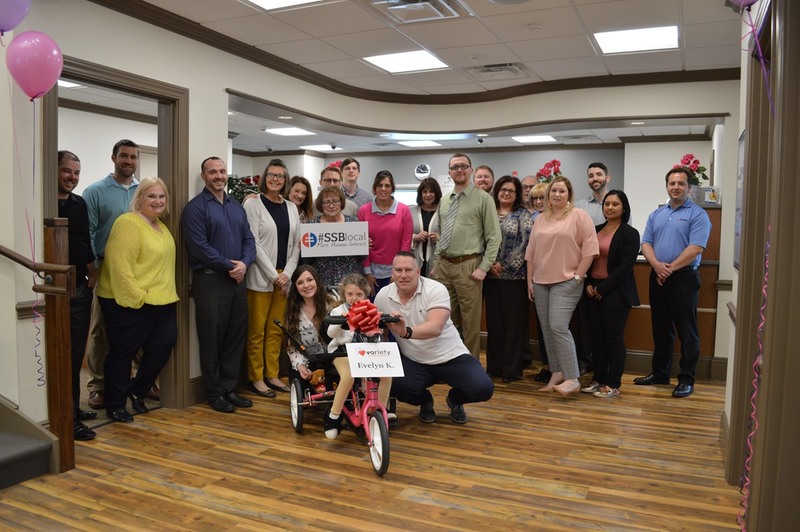 Community Engagement and Accessibility In 2018, SSB Bank provided a recumbent bike to a local girl in the community with a contribution from their Jeans Day Funds, collected each pay check throughout the year for local causes such as this. Community banks are typically deeply involved in their local communities, while mega-bank staff are often detached from the communities where their branches are located. At SSB Bank, we take pride in supporting our Pittsburgh communities in a variety of ways. We are constantly finding ways to support local causes and organizations that will help our communities thrive. For a list of some of our community partners and the work we've done with them, or you want to connect with us about a future partnership, check out our Community Connections Page. There's no better time to switch to a local, community bank like SSB Bank! We will help you through the process and make it as stress-free as possible! Just call and ask us how, or check out our Switch Kits to get the process started.